The thirty-third Hong Kong International Film Festival kicks off at the end of the month. It stretches from March 22nd until April 13th, with a huge variety of films. The festival broke a new record last week when it sold 19,559 tickets in a single day! The HKIFF includes movies from every country imaginable, plus boasts important world premieres. One highly anticipated film, Shinjuku Incident, was chosen to open the festival. What makes Shinjuku Incident such a draw? It features a big name cast headlined by Jackie Chan and Daniel Wu. I’m excited to see it for several reasons. First, I’m happy that it takes place in a contemporary setting and is not yet another period piece epic, which I’ve grown tired of (because most of them are mediocre). Second, I’ve heard that Jackie Chan plays a bad guy, which is a departure from the clownish character he’s often been trapped playing the past ten years. The film’s other lead, Daniel Wu, has continued to grow as an actor in his last few films and I’m anxious to see where this movie takes him. As far as the other Hong Kong offerings go, I’m interested in checking out Dante Lam’s Sniper starring Richie Jen and Edison Chen. I’m also planning on catching Ashes of Time Redux, the new cut of Wong Kar Wai’s martial arts film that I’ve previously only seen on VHS! It was shot in 1992 when Hong Kong actually had movie stars… and includes Leslie Cheung, Brigitte Lin, Tony Leung Chiu-wai, Maggie Cheung, Carina Lau, and Tony Leung Ka-fai! In the Hong Kong Panorama section of the festival I’m going to watch a few local films I missed over the year. Sparrow, the recent film by Johnnie To’s Milkyway Film Group, and Herman Yau’s True Women For Sale are the titles I’m planning on seeing. This year the festival is putting on a twelve-movie tribute to Film Workshop, the company founded by Tsui Hark and his wife Nansun Shi. Fans of Hong Kong cinema revere their films from the 80’s and 90’s which include legendary titles such as Shanghai Blues, A Better Tomorrow, A Chinese Ghost Story, Swordsman, Once Upon A Time In China, Green Snake and other classics. I’m psyched to be able to see them on the big screen! Although some films sell out fast, there are hundreds of screenings to choose from. I’ve found that it’s often the movies that you take chances on, that turn out the best! (You can read previous coverage of the festival and see some major celebrities here, here and here.) Booking tickets for the film festival just started, and you should be able to find something to watch. 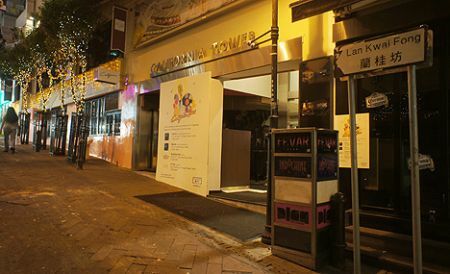 You can find the free festival program guide at City Hall in Central (next to the old Star Ferry Pier,) the Cultural Centre in Tsim Sha Tsui, the Arts Center in Wanchai and many other government and arts-related buildings throughout the city. They are usually stacked up in some sort of bin. All venues are not created equal! Bad venues are o.k. if you must see a particular film, but things like picture / sound quality are not ideal. Unless they’ve had overhauls recently, the Space Museum in Tsim Sha Tsui, the Arts Centre in Wanchai, and Times Square are not great venues. Take a quick look at the website. The festival is divided into over 25(!) different programs. If you don’t want to buy online, you can also purchase tickets at URBTIX outlets which are usually located in government buildings and government-backed arts venues. I strongly recommend that you pick up a printed program guide – it’s packed with additional information and is fun to browse! Previous articleDJ Sebastian Serrano returns to Volar! Are non-English language films subtitled in English by any chance? Yes! Non-English films are nearly always subtitled in English. If there are any exceptions, it’s usually noted in the program. Enjoy! There is a new iphone dedicated film festival application with all films dates and synopsis. It’s really cool. 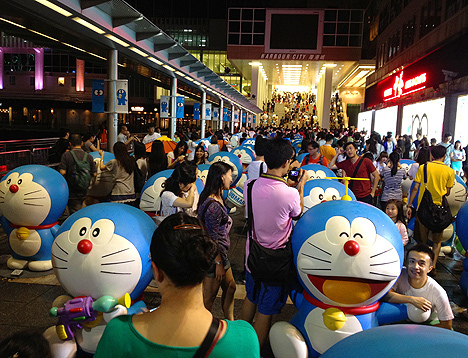 Doraemon army invades Harbour City!